Palatine Park Foundation presents the annual Casual Cocktails fundraiser on Wednesday, October 24 from 6:00pm to 9:00pm. The event will be held at the Palatine Hills Golf Course Clubhouse, 512 W. Northwest Hwy, Palatine. Proceeds will support scholarships for recreation programs for Palatine Park District residents in need along with other foundation initiatives including support of accessibility projects, preserving open space throughout Palatine Park District, and contributing to the health and well-being of District residents. 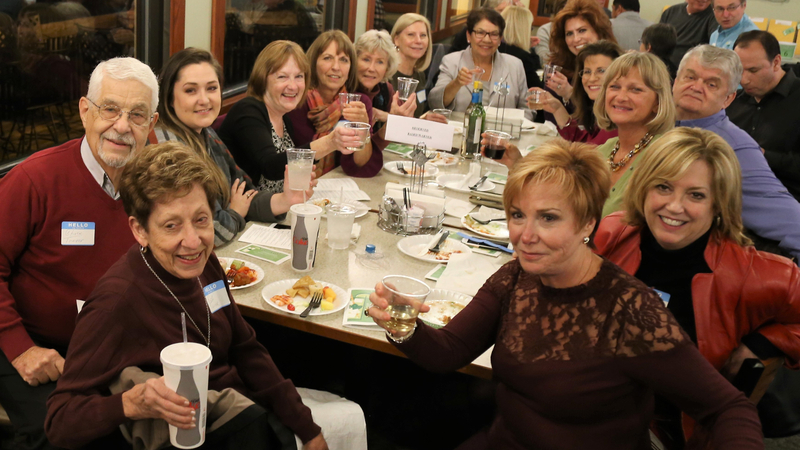 Members of the community are invited to enjoy a casual cocktail party with friends including appetizers, door prizes, raffles, a silent auction, and a cash bar. Tickets are $50 in advance or $60 at the door and can be purchased online at palatineparkfoundation.org. Palatine Park Foundation board members include: Carl E. Arthur (President), Mike Clark (Palatine Park District Liaison), Jim Lennon, Fred Hall, Monica Haun, Debbie Lemonidis, Kate McNally, and Robert “Dutch” Schultz. For more information on how you can support the Foundation’s efforts, reach out to any of these board members, contact Board President Carl Arthur at 847.910.2944 or parkfoundation@palatineparks.org, or contact Palatine Park District Community Outreach Coordinator, JP McNamara, at 847.496.6246 or jpmcnamara@palatineparks.org. All donations to the Foundation are tax deductible as defined by Section 501 (c)(3) of the Internal Revenue Code. Donations, sponsorships or in-kind gifts may be contributed for a specific purpose or may be unrestricted in use to provide financial assistance where most needed. Palatine Park Foundation is the official foundation of Palatine Park District and is a proud member of the National Association of Park Foundations.